Kalinga Institute of Social Science(KISS) organized a Lecture on ‘Understanding Social Sciences: Methodological Perspective’ on 9th December, 2017. 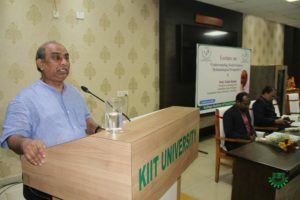 Gracing the occasion as the Chief Key-note Speaker Prof. Vivek Kumar, Professor of Sociology and Ambedkar Chair Professor, JNU, New Delhi remarked that Social Science is an enterprise or kind of empirical knowledge about the world. It is also an enterprise to develop systematic and secular knowledge about the ground realities of society, which can be validated empirically. “In the days of yore, the philosophical knowledge came into the force out of mind and observation. While the philosophical knowledge was exemplified by the erudite class, the practical knowledge by the working class. Out of the confluence of these two, Science was born. By interacting with nature, the knowledge got established. However, practical knowledge is very important,” he emphasized. “With the onset of the Industrial Revolution, Science and Knowledge got emerged. Prior to that, the universities were following the doctrines set by the Church which were based on the theory. After the World Wars, the world got divided into two poles, i.e. two superpowers and the whole world was divided into 16 regions. As a consequence, Multi-dimensional disparities in Social Sciences were born,” he further elaborated. At the commencement of the lecture, Mr. Julius Lakra, Registrar of KISS Deemed University placed the welcome speech and introduced the Guests to the audience. At the end, Dr. Ishwar Chandra Nayak, Director, Academics, KISS and the Chief Coordinator of the event proposed the Vote of Thanks. 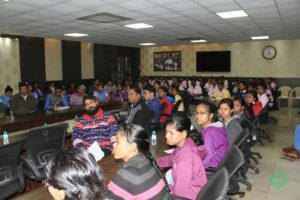 Many students, faculties and research scholars had attended the lecture.